At one point, when I was practicing drawing the symbol for the number ten, I asked my instructor how I should go about drawing the straight vertical line, the second stroke of the symbol. The way he drew it, his brush descended from top to bottom, allowing the bristle stroke to thin out perfectly as it neared the end of the page. I tried again and again to match his example, but unlike his, my vertical stroke was not made in one swift motion, instead full of second thoughts, hesitations, and, simply put, me overthinking the hell out of it. When I asked, he laughed—initially because another student had just asked him the same question—but afterwards told me that he couldn’t help me draw that straight line. Like any student, this confused me at first, until he proceeded to explain his answer: calligraphy is about what you create, but not just in the sense of the creation itself. For every perfect sentence or character, the calligrapher draws hundreds of symbols that are less than perfect. This answer rang true to me because of my experiences and roots within the graffiti culture in Chicago. 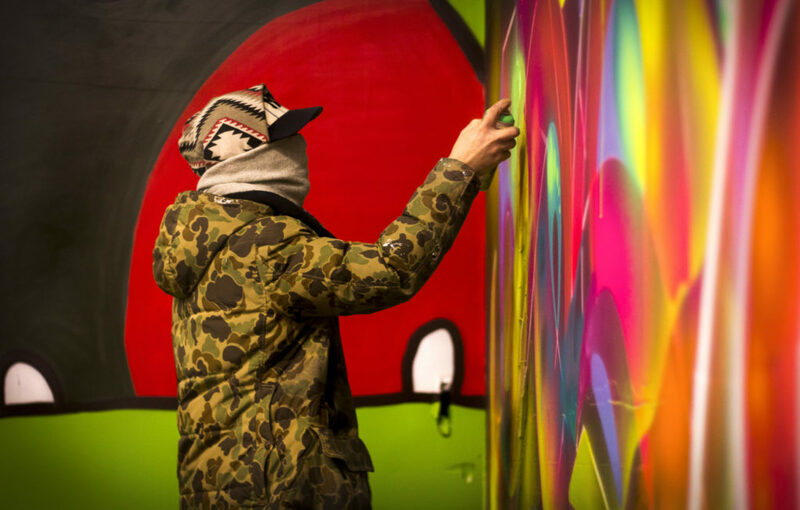 For graffiti—an art dedicated to spray-painting, letters, and oftentimes a lack of permission—the work is about so much more than just the paint itself, and simultaneously is about nothing more than just the paint on the wall. To practice drawing, painting, or tagging different styles, utilizing and creating your own fonts, and making work heavily based on space and time over and over again is as much about the process of creation as it is the end result. While calligraphy is very different from graffiti-writing in many ways (especially when it comes to each calligrapher’s process and each graffiti-writer’s process, as they can differ greatly within each community) they both focus on the importance of the technique of the marks being made, the repetition required to perfect the work, and the process behind the continuation of the art form. 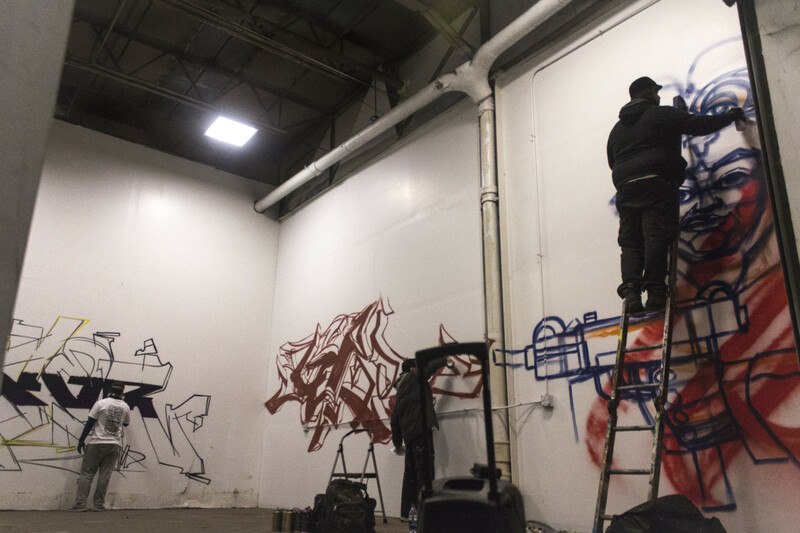 Taking this class led me to re-explore this process through this short photo essay of graffiti murals that I’d shot a few weeks earlier, found deep inside a warehouse on the West Side. 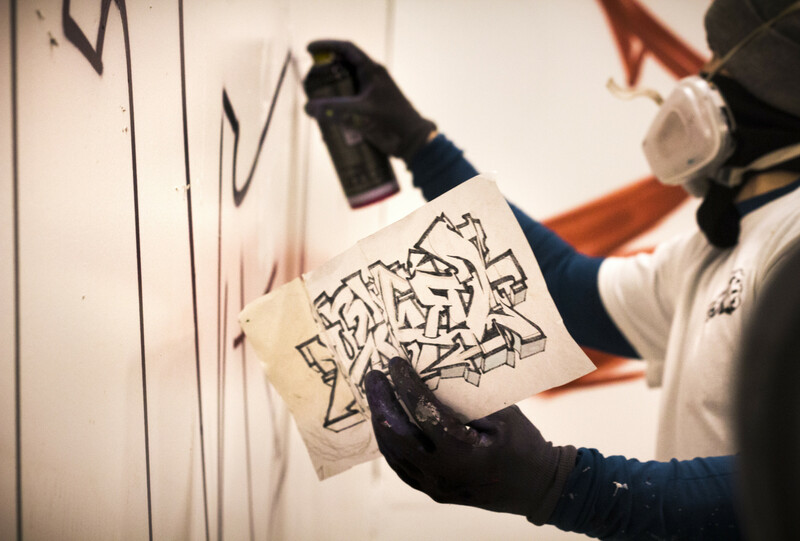 These photos illustrate the process of creation that graffiti-writers go through: balancing letters against and with each other; adding in arrows, whips, and extensions that balance against the letters; and finding balance with each color used and figuring out if these colors will stand out or blend into the chosen “canvas” space. 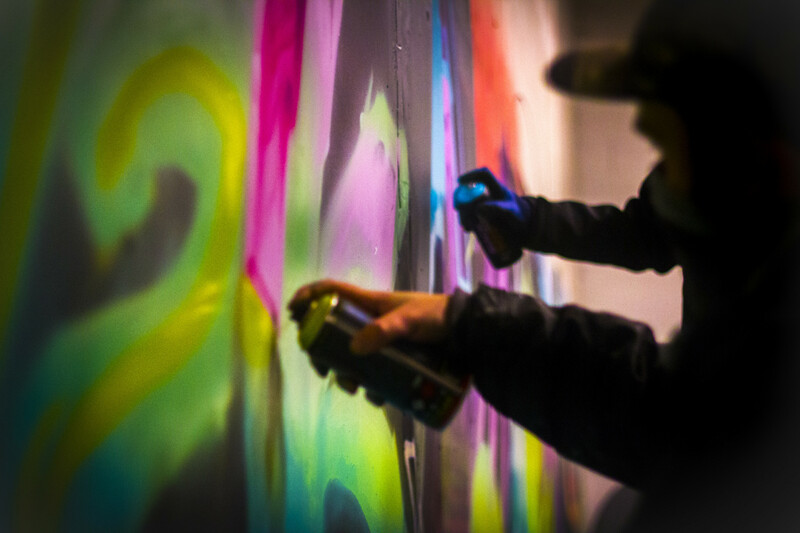 Rod Sawyer is a photojournalist based on the South Side, focusing mainly on covering graffiti and mural art, is and the visual arts editor for the Weekly. He last wrote for the Weekly in March about school uniforms for Betty Shabazz International Charter School designed by streetwear designer DesMoney.